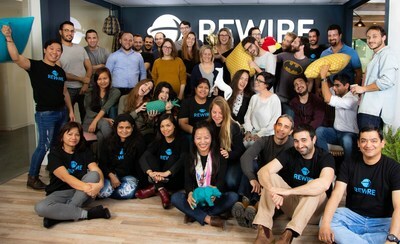 TEL AVIV, Israel, March 26, 2019 /PRNewswire/ -- Rewire, a leading innovative fintech company which has developed an international banking platform for migrants in close partnership with leading banks globally, today announced a Series A investment round of $12 million. This latest round, led by venture fund Viola Fintech, is supported by new and existing investors BNP Paribas through their venture capital fund Opera Tech Ventures, OurCrowd, Moneta, Professor Yair Tauman, Yaron Lemelbaum, Leon Vaidman and the strategic partner, Standard Bank of South Africa. Part of the funding will be earmarked for global expansion and penetration into additional European markets, complementing existing operations already implemented in Germany and Italy, where a high concentration of migrants reside. Additionally, funding will be allocated towards extending and strengthening partnerships with local banks in origin countries, with the goal of reaching numerous customers. "With this being our second investment to this fund, we continue to express our investment portfolio beliefs which are based on the principle of Fintegration, meaning cooperation between financial institutions with fintech companies. This investment reflects our principle of operation, which directly connects investors in the fund with the creation of value for the companies in which we invest. Rewire has succeeded in creating a solution for the target community that greatly needs this type of resolution, while winning favour with banks and educating them as to how they can best serve this community and expand their activities."